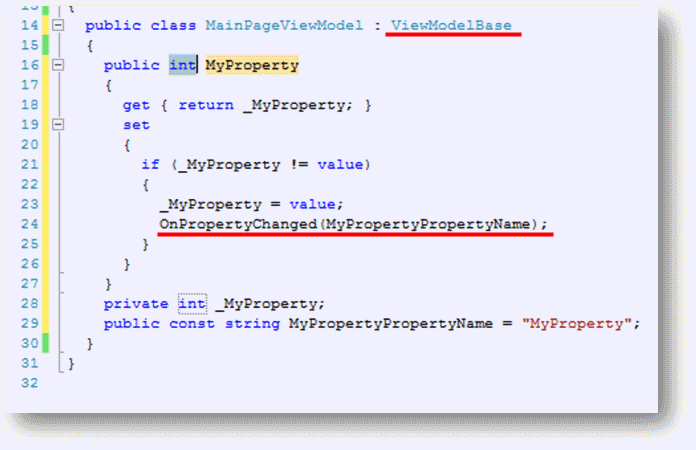 In the ViewModel classes of projects following the M-V-VM pattern it is often necessary to raise a "PropertyChanged" event (to assist with INotifyPropertyChanged interface implementation) from within a property's setter. This is a tedious task that will hopefully someday be solved by using the Compiler as a Service... But until that day comes, I've created a handy Visual Studio Code Snippet for myself to help automate this task. The XML for the code snippet, and an example of the code it produces are below (note the Base Class and the OnPropertyChanged() method call). 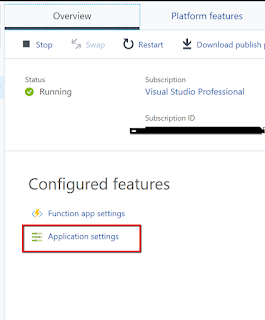 Continue reading to see how to "install" and implement this snippet. Code snippet for a property that calls OnPropertyChanged() in the setter (to assist in INotifyPropertyChanged implementation). Take the XML above and save it in a file named propn.snippet. This will be referenced later during the import process. 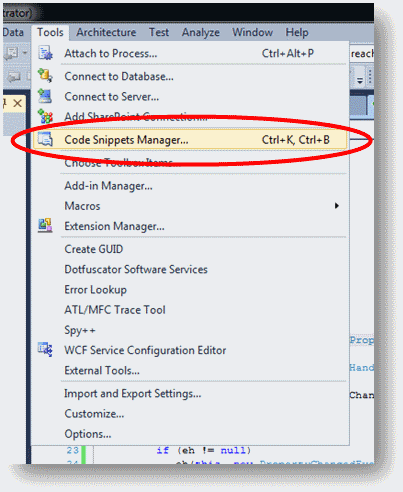 To "Install" the code snippet, select "Code Snippets Manager..." from the Tools menu. When the Code Snippet Manager window opens, make sure the Language is set to C# and click the Import... Button. 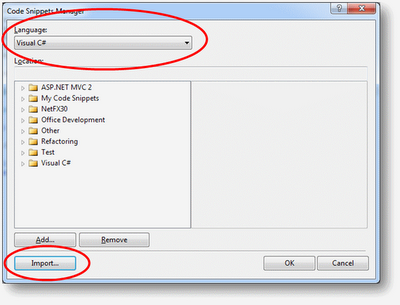 Find where you created and saved the XML above into a file named propn.snippet, and select that file to import. The Import Code Snippet window will open. 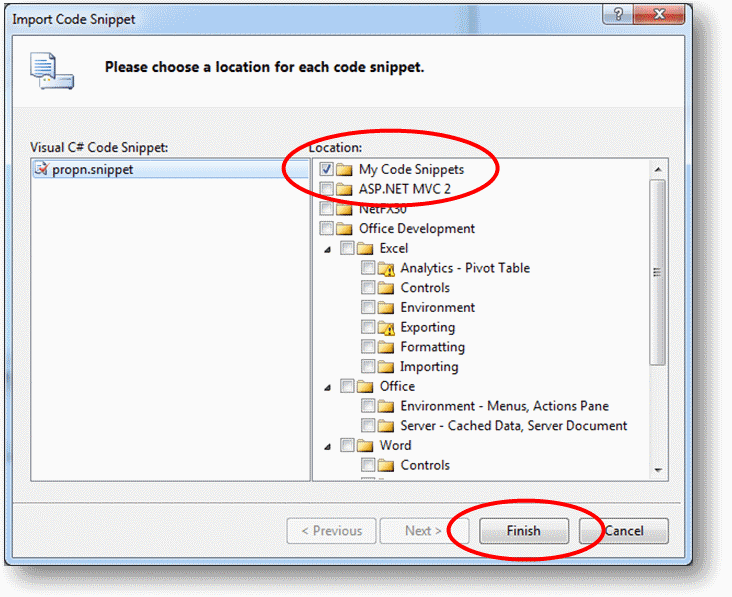 See that the "My Code Snippets" folder is selected and click the Finish button. 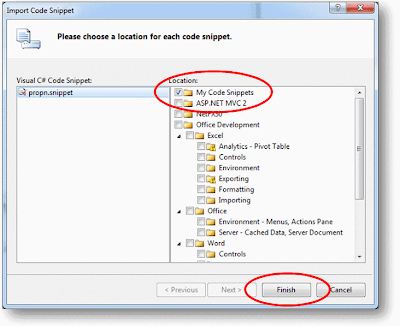 Click OK on the Code Snippet Manager window. Now within any C# file you should be able to start typing "propn" then Tab and Tab and the code snippet should be inserted into the file. A much better alternative to the built-in snippet manager in Visual Studio is Code Barrel. 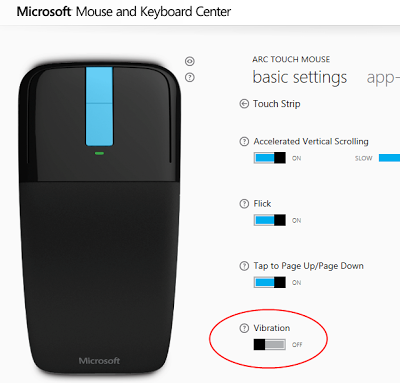 It's free and has an excellent Visual Studio plugin. Thanks Keir. I'll check out Code Barrel and see what it can do. I'd love to have an easier way to share Code Snippets.